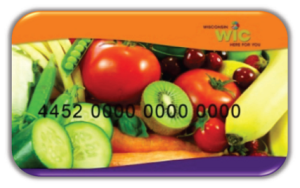 The goal of the WIC program is to support and educate pregnant, breastfeeding and postpartum women, infants, and young children in achieving optimal health and nutrition! Individualized Nutrition Education for eating healthy during pregnancy. Individualized Nutrition Education for your infant and toddlers. Individualized Nutrition Education and Fit Families program for preschoolers. eWIC card for shopping! No more paper checks! Please find the full non-discrimination statement here.